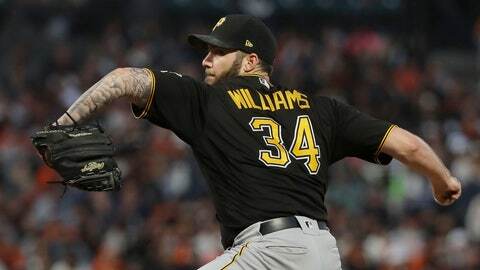 SAN FRANCISCO (AP) — The Pittsburgh Pirates lead the major leagues with 13 shutouts. Trevor Williams was the starting pitcher in seven of them. Manager Clint Hurdle doesn’t think it’s a coincidence, either. After grounding into a double play in his first at-bat Saturday, Bell hit his eighth homer off Ty Blach (6-7) in the fourth. Bell’s three-run drive came after Gregory Polanco bunted for a leadoff hit and David Freese reached on an infield single.